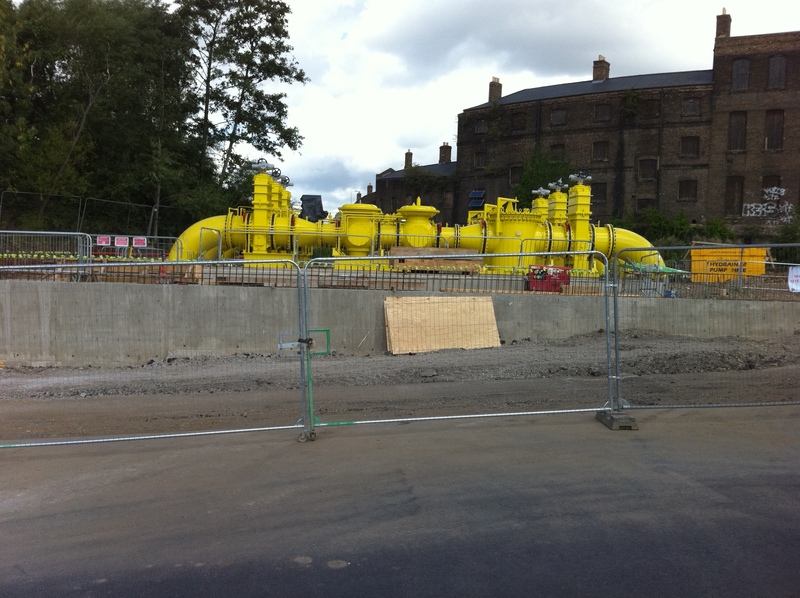 This large pump has appeared in front of the new arts building soon to house Central St Martin’s. It may not be intended as a work of art but it is a great addition to the landscape. Large yellow object heralds opening on Central St Martin’s on King’s Cross site.